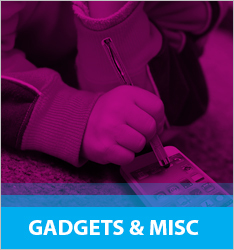 Xtreme offers a large variety of accessories for smart devices. 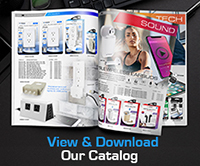 Select from one of our designer cases or any cable solution, these products are designed to maximize your digital experience. Always looking for your cable to recharge your smart device? Make it easy for yourself, with the Xtreme charge and sync cable you'll have a second cable to keep in your desk or in your notebook case. The Smart Cover falls perfectly into place and stays put to protect your tablet screen, yet doesn't add bulk to its thin, light design. 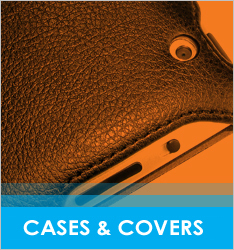 Open the Smart Cover and your tablet wakes up instantly. Close it and your tablet goes to sleep automatically. 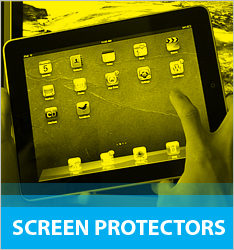 Our Screen Protectors allow users a glare, smudge and fingerprint-free view of their touchscreen, ultra clear screen protectors ensure your device stays clean, but also well protected.